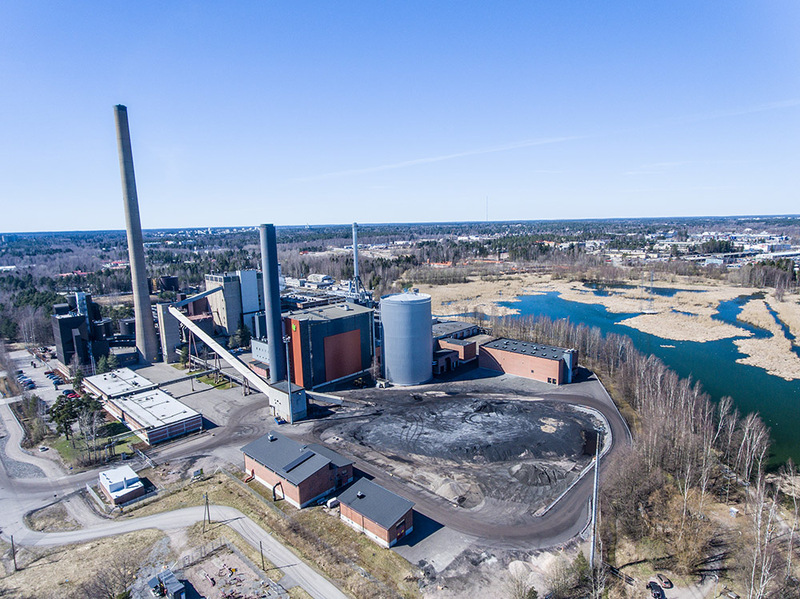 Mitsubishi Electric Hydronics & IT Cooling Systems, through its brand Climaveneta has recently supplied two heat pumps for Fortum’s district heating in Espoo, Finland. 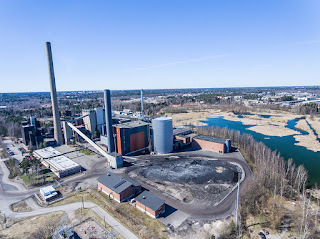 Fortum, a Finnish energy company, will utilize waste heat from a data center and supply the heat into a district heating network. The data center belongs to Ericsson, a multinational networking and telecommunications equipment and services company based in Sweden. Ericsson needed more cooling production on their site since their IT load was going to increase quite rapidly and they had relatively old cooling equipment that couldn’t support the new incoming IT loads. The company was also looking for an economic and ecological solution for this problem. At the same time, Fortum wanted a sustainable solution that could provide constant heating capacity to their local district heating network with reasonable investment cost and payback time. “It was clear from the very beginning that we wanted to recover all waste heat available and not waste any of it to the environment. With minor modifications we were able to convert the data center to a heat production plant and simultaneously with the same equipment, able to provide the cooling for the data center” says Petteri Hajanti of Granlund, the HVAC system designer, who concludes: “This solution provides great benefits to the business of both companies”. Using the heat waste of a data center is a good example of how it is actively possible to move towards low-carbon district heating. Furthermore, as demonstrated in several projects throughout Europe, heat pumps are an energy efficient and economical solution for district heating systems. “We want to produce heating in a sustainable and of course innovative way and this project shows that we are able to do that” says Mottonen Ilkka of Fortum. This cooperation model can be repeated in many cases, above all in Northern Countries. The main thing to consider is the availability of heat sources next to district heating networks. These could be data centers, geothermal fields, waste heat from industry, or even a lot of buildings that produce excess heat. The heat source is the key element to keep in mind when designing an innovative and efficient system. “In this project we have been able to create a very complex technical system which brings benefits to the whole society in the form of recovering the heat from the data center to the district heating” says Janne Puranen of Coromatic. To recover the heat waste of the data center and serve the district heating network, two Climaveneta FOCS2-W HFO/H/CA/S 5422 heat pumps have been supplied through Coromatic, the leading Nordic critical facility solutions provider. FOCS2-W HFO heat pumps have a compact and essential design, that leads to more flexibility during the design phase, especially in replacement project like this. The units are characterized by competitive efficiency levels both at full and part loads (EER 5.06, ESEER 6.23), which ensure minimum running costs and a quick return on investment. In this project Climaveneta heat pumps cool the water of a data center from 15°C down to 10°C. The extracted heat is injected into the district heating system as hot water at 70° that mixes with return city water coming at 50°C. 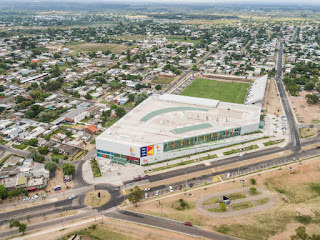 All power absorbed by the data center increases the return water of the district heating system thus reducing the Delta T between return and supply water: this serves the city and boosts the energy efficiency of the whole system. FOCS2-W HFO Climaveneta heat pumps have been selected for their efficiency and sustainability as they use HFO-1234ze refrigerant (1,3,3,3-Tetrafluoropropene). The 4th generation refrigerant HFOs are the perfect solution to keep ODP=0 and GWP levels near zero. HFO 1234ze is a gas blend characterized by extremely low GWP while maintaining high efficiency values. Thanks to its compatibility with standard construction materials and operating performance similar to R134a, the new HFO 1234ze is the perfect alternative to HFC refrigerants. “In this heat pump project we selected a new refrigerant, with low GWP because we want to act in a sustainable way, in a way that helps the environment” says Mottonen Ilkka.